Bob Katz is an audio mastering engineer who is known for his influential textbook on audio mastering and his recording of jazz and classical music. Katz has mastered three Grammy award-winning albums and one nominated album. 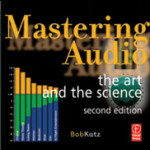 He has received high critical acclaim from audiophiles and his book on mastering has received high critical acclaim, and some reviewers consider it the definitive work on mastering. 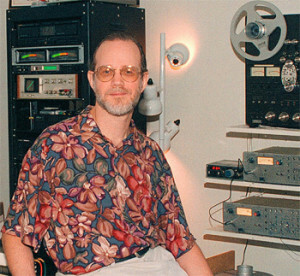 He is also one of the most respected mastering engineers in the business. He has also invented a proprietary technology called K-Stereo and K-Surround. These processes recover lost or amplify hidden ambience, space and imaging and generate stereo from mono signals without adding artificial reverberation. Katz taught at the Institute of Audio Research from 1978 to 1979. 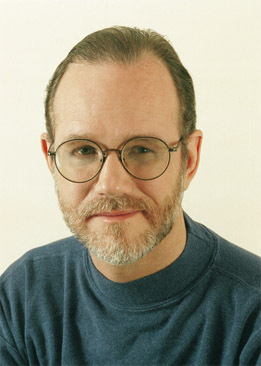 In 1988, Katz joined Chesky Records and began recording jazz and classical artists there, as well as producing the world’s first oversampled commercial recordings. In 1990, he founded an audio mastering company called Digital Domain, where he continues to work. In 2009, GIK Acoustics had the chance to talk with Bob for a one on one interview. GIK: Your name is a household word in the world of mastering. How do you improve your skills at this point in your game? Bob: By being as open-minded as possible, by hearing things that may, if I’m honest with myself, even contradict some of the thoughts I had before, and by being open to the possibility that I may have been wrong. I’m always learning things. I worked on the most purist folk recording the other week, and I thought that I had acoustic music really down pat because I’ve been doing that for most of my career, yet I learned more during that session with some extremely critical artists than you can imagine. The artists were the Kruger Brothers from Switzerland; they’re very well known in the folk music and acoustic music world, and it’s just an acoustic trio: banjo, bass – not upright bass, but electric bass – guitar and two or three vocals. That seems really basic and very simple, but when I heard their first mix, which was done with the finest of equipment and the finest of microphones, I made a suggestion that opened up one of the biggest cans of worms that I’ve ever run into: that the bass instrument they were using had been recorded in a such a way that it just didn’t have the definition…it sounded like it was the output of a pickup with a very deep low fundamental bass sound, but the harmonics were very tinny, and it would not translate to a lot of systems in my opinion. I suggested to them that I could, if they would send me stems (everything but the bass and the bass) instead of a full mix, re-mike the bass. I had done this before with a jazz group and the bass came out excellent. Now, in my mastering room I don’t have a mic and a studio, but I had purchased an excellent plugin called “Speakerphone” (by Audio Ease) that has an uncanny representation of an Ampeg B-18 bass amp cabinet miked superbly, that can enhance the sound of a pickup. So I said, “this is going to be a cinch!” It turned out to be a nightmare. The problem turned out to be one on my part, maybe a bit of arrogance, assuming that just because I’d done it before that I could do it just as well again. That’s the learning part: never assume. Every circumstance is unique; there are only general rules, and as I pointed out in my book (Mastering Audio: the Art and the Science) I learn from my mistakes, so maybe I don’t make the simple mistakes anymore…now I make the big, ugly ones! I wasted about ten hours of my time, which I did not charge the Kruger Brothers for, trying to get that bass to sound great. It turns out, the Audio Ease software, and probably a real Ampeg cabinet, exaggerates, which worked really well for the bass pickup in the jazz piece that I’d done, but this naked bass with just banjo and guitar just came out so naked that the resonances of the Ampeg cabinet were negative. It wasn’t just the resonances of the cabinet that were naked, but the artists’ choice of a piezo pickup in the bass. In the end, the Kruger Brothers admitted their problem when I admitted mine, that they should not have so casually recorded the bass with a piezo pickup, and they went back and re-recorded the bass from scratch with another instrument that had an electromagnetic pickup and a preamp built in. Suddenly things came back to life. So, I’m always learning; things that I’ve done hundreds of times, maybe the hundred and first time doesn’t fall into the same role. Hopefully I can apply the things that I’ve learned before, but I’m always running into something new. GIK: Right…so every circumstance, every mix is different. Bob: Absolutely, and you can follow some general trends when you’re mixing bass is to boost the presence range of the instrument so that the bass will cut through because in a complex mix it’s the harmonics that help to define what notes he’s playing. We all know this. But in this particular mix, every time I tried to boost, I don’t know, 700 Hz, 800 Hz or 1.2 kHz, it detracted from the wonderful, smooth, warm tonality of this bass, which was coming through just fine. And if you don’t have accurate monitoring, you’re going to think that you’re doing something helpful, but no…it won’t be. GIK: That actually leads right into my next question: as studios downsize, how much work are you getting from small-room or home studios? Bob: A lot… a tremendous amount. I think this is a general trend. I think you should ask Bob Ludwig that question to see just how much he’s getting that’s coming that way. Everybody’s downsizing, and it’s not always for the better. How much of that is happening? A lot, and an interesting corollary to that is, a good mastering engineer can help project studio projects proportionally more than projects that are coming from large professional studios with top-notch engineers. So I might only have to do a tiny polish to a recording that was done, or nothing at all perhaps, to a recording that was done in a good professional room, versus something that was done in a project studio, and I think that bass is the final frontier. That’s probably the first thing that we notice. I’m always surprised; I listened to a mix yesterday…it’s usually one of the more common trends that people work too brightly, and a lot of “S’s” come through, sibilance and high frequency distortions that they don’t notice, in this recording the engineer had over-reacted to that frequency range, and I’m trying to think, “what monitors was he listening through to have done that?” But bass is usually where people have the biggest problem, and this was not the case twenty years ago…not so much. I think that more people were mixing with wider-range monitors, and I cannot understand the trend to work with little tiny monitors whose response drops off a cliff at 100hz. What is going on in their minds? It really doesn’t help to translate anywhere. Now you can say, if it’s going to get played back on an iBook, you’ll never hear that problem. GIK: Sure, I hear that a lot. Bob: Well, but what about an iPod, which has some bass on those headphones. So there’s a lot of that going on. And what about cars? There’s a ton of that going on, and a lot of cars have subwoofers and decent bass, or indecent bass with tremendous resonances down there. So you’re not helping to translate to a very wide section of environments that your recording is going to be auditioned in, and depending on how far off you are, in the mastering I can either help that or not, because it’s not just the bass instrument, it’s the bass drum. Often they get the bass drum right, and I can’t figure out how they get the bass drum right and not the bass instrument right, but if they get the bass drum right and the bass instrument wrong, I probably will lose some of the bass drum while I’m cutting some of the excess bass fundamental. So, I get a lot of work from project studios and the best advice I can give to anyone is establish a relationship with your mastering engineer as soon as you have made your first mix. Let him or her listen to your first mix and tell you in his/her opinion if it’s ready for mastering, or if there’s some issues that he/she could help clear up, because the better your mix is, the better the master I can produce is, and the less work I have to put it through (ironically) the better it will sound. GIK: Of the issues you’ve seen, and we were talking about getting definition between kick and bass specifically, how much do you think is due to poor listening environments? Bob: I think over 90%. Now yes, there’s a learning curve when you’re just learning how to become a mix engineer, where your skills don’t come up to the quality of the monitoring you have, but if your monitoring doesn’t come up to your skills, you can second-guess it by putting your finger on the NS-10 woofer to see if there’s enough bass drum there, but that’s not really the long-term solution. GIK: Sure…can you hear in the mixes you work on where there’s a big bottom end that somebody just couldn’t hear accurately? Bob: Oh, absolutely, and if you asked me if it’s the most common problem that comes in, yes. Bass is the final frontier. GIK: We’ve talked a little bit about the non-ideal spaces, but in your own experience, what do you look for in a good mastering room? Bob: I have a very wide experience, enough to be able to pick a space, to know if it’s going to cause problems, and it comes to a great extent from my audiophile experience over the years. As an audiophile I was always setting up good audio reproduction systems and learning how to get good, wide response across the spectrum. 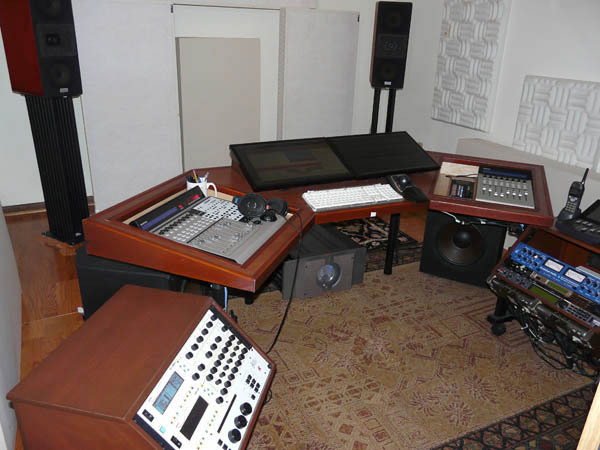 A good mastering room should have solid walls, solid floors and solid ceilings, and should be at least 20′ long, preferably 30′ long. 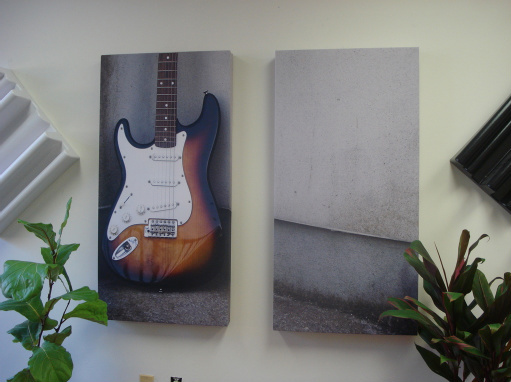 Now, you as a consultant in acoustics know that you can get good bass in a 10′ room, but it’s almost impossible. You can hear a 30 Hz tone someplace in that room. To encourage the room to have an even response in the lower octaves, the room should be longer to support the longer wavelengths, but I think that “support” may not be the right word…perhaps a better way to say it would be, to play back more wavelengths more evenly with fewer peaks and dips. Then we talk about the golden mean, to make sure that none of the dimensions are integer-related, and there are some online calculators that will help you avoid issues if you decide that you want to work on a pre-existing room. GIK: Even you’ve encountered an acoustic issue or two over the years that you’ve had to correct in your own rooms, right? Bob: Yeah, and the more I learn, the more frightened I get. There are many bass traps in my studio A and there are many bass traps in my studio B (including some from GIK Acoustics), and there probably aren’t enough of them either. GIK: Bob, we want to thank you for taking the time to be interviewed for our newsletter. Bob: It was my pleasure…thank you.